Hey, LOOK! 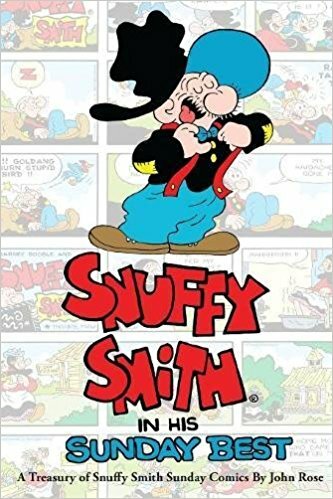 A new Snuffy book! By Barney Google & Snuffy Smith cartoonist John Rose! Since 2001 Mike has been a gag writer for King Features' long-running Barney Google & Snuffy Smith comic strip. Original art featuring Mike's gags can be purchased at times on eBay. The strip is drawn by the very talented cartoonist John Rose. Original Snuffy artwork can also be purchased from John. For a history of the strip and more info surf 0n over to King Features Sy﻿ndicate or snuffysmithcomics.com.